Opinion: Academic strength, a sense of community and strength of purpose are just some of the reasons behind their ongoing popularity with parents. In Ireland, and around the world, as Catholic schools are celebrating their annual celebration of Catholic Schools Week, it may surprise readers that today there are more than 28,000 Catholic schools in Europe are educating over 8,500,000 pupils. Today almost one-third of primary and secondary students in Europe are in schools under the aegis of the European Committee for Catholic Education (CEEC). Gone are the monologue schools for Catholics of times past but instead, throughout Europe, Catholic schools are now multicultural spaces where students of all faiths and none are made welcome to hear the hopeful message of the gospel presented in a relevant way that plugs into the continual search for meaning that continues to imbue all of humanity. This diverse nature and progressive character of Catholic schools is exemplified by a CEEC meeting, taking place in Brussels this week, to coordinate our forthcoming symposium to address inter-cultural and inter-religious practices in Catholic schools in Europe. This vital subject is highlighted in a world-wide project for Catholic schools called “Je Peux!, I can!, Yo puedo!” in which schoolchildren from all over the world seek to meet the challenge of Pope Francis’ 2015 encyclical letter, Laudato Sí, on the care for our common home. Education in Europe is a national competency and thus operates under the conventions of the European Council and the European Court of Human Rights, and most countries have a majority of State schools. However, it is interesting to note that of the 47 member states of the European Council which includes Russia and Turkey, there are only two countries, France and Macedonia, where there is no religious education in State schools. In all of the other countries education about religion is seen as an essential feature of culture and citizenship, as well as a bulwark against fundamentalist and extremist philosophies from whatever quarter they emerge. Even in France, almost 20 per cent of the population attend non-governmental Catholic schools which contract to meet the State’s requirements in teaching the national curriculum, have autonomy to employ Catholic teachers and to educate pupils in the Catholic faith as part of the characteristic spirit/ethos of the schools, and are funded by the State to almost the same level as French public schools. Indeed, it is not just in Ireland and in France that Catholic schools receive public funding to almost the level of the public school system but it is a consistent feature of State policy in most European countries, from Portugal in the west to Hungary in the east, and from Malta in the south to Lithuania in the north, and it reaches equality in Scotland and in the Netherlands where Catholic schools receive exactly the same funding as public schools. But this is not what one would expect to hear in 2019. Why then are Catholic schools so popular around the world and in particular, at a time of increased secularisation throughout Europe, why do they remain so? 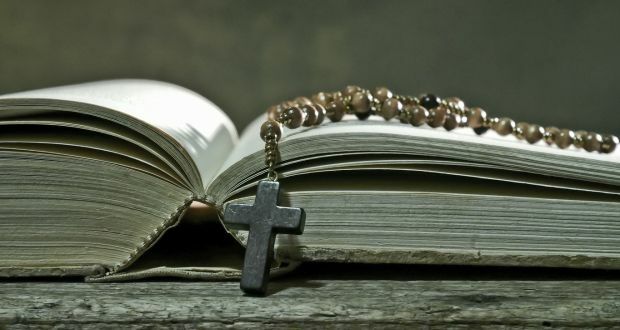 Research indicates that there are four characteristics of Catholic schools that resonate with parents: (a) they have an academic structure and culture which is sometimes referred to as ‘bookishness’; (b) they create strong internal communities; (c) they have devolved governance and autonomy; and, of course, (d) they have the inspirational Gospel message which gives the school community a sense of mission and purpose. Noting that European civil society inhabits the space between the State, the market place, and the family, research also suggests that the voluntary independent sector is ideally placed to create partnerships to combine the best of these elements. Thus, the education in voluntary Catholic schools – such as we have in such large numbers in Ireland north and south – will never be simply to further the ends of the State, nor simply to meet the demands of the market, rather they will continue to provide an informed evaluation of all of the gifts inherent in each individual to enable their contribution to the common good. In April 2017, Pope Francis published Educating to Fraternal Humanismwhich deals with the Catholic Church’s position on global inter-dependence and the common destiny of all peoples on Earth. The chapter headings of Humanising education, A Culture of Dialogue, Globalizing Hope, For a True Inclusion and Co-operation Networks speak to his belief that there has never been a more important time to challenge the assumptions of those who would suggest that religion should be considered a thing of the past, both alien and irrelevant. As we in Ireland celebrate this year’s Catholic Schools Week, with the theme ‘Celebrating the work of our local Catholic Schools’, we do so within that European and world-wide understanding that although our schools are local, the challenges facing society are universal. In application this means that Catholic schools have an important role to challenge society to evolve as a civilisation of love and to do so by finding solutions to the moral and other dilemmas that face States and society on this shared Earth of ours. Paul Meany is a former principal of Marian College, Dublin (1988-2017), and is chairman of the Le Chéile Education Trust.